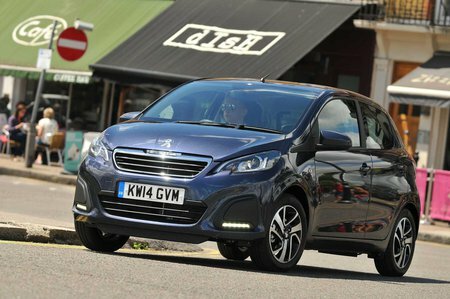 Peugeot 108 Performance, Engine, Ride, Handling | What Car? Of the two engines we prefer the 1.0 litre, certainly for city driving. It feels very slow and needs to be worked hard, but its five-speed gearbox has well-spaced ratios. Bear in mind, though, that with two or more people on board, it will struggle on steep hills. Accelerate hard in the 1.0-litre model when joining the motorway, though, and it really does take too long to get going. Even with your foot to the floor the 108 builds speed very gradually, and once the power does arrive at high revs, the engine note becomes really strained. The 1.2-litre engine is a little better in this regard because it doesn’t need to be worked quite as hard. Over the sort of broken roads you’re likely to find in town, the 108’s ride fails to settle. It never crashes over imperfections – even large potholes – but it jostles its passengers around more than the class best. Head out on the motorway and things don’t improve. The 108 controls its body well vertically over undulations but it’s too easily unsettled if you hit a bridge expansion joint or a pothole at speed. There’s little sense of what the 108’s front wheels are doing through fast bends, but the steering’s consistent weighting provides some confidence. 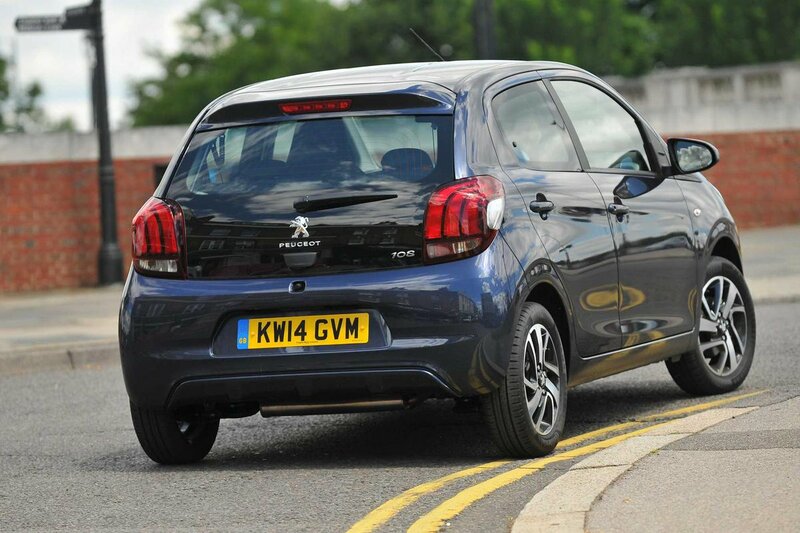 What’s more important for city cars is low-speed manoeuvrability, and most will find the 108’s set-up light enough to make tight turns and supermarket parking easy. The relatively quick steering and the shortage of body lean in corners also help make the 108 feel suitably agile when weaving in and out of busy traffic. Pushing the engine exposes one of the 108’s weakest areas: its refinement. There’s a considerable amount of engine noise in the cabin, and as the revs rise so does the vibration felt through the steering wheel and pedals. There’s also noticeable transmission whine as you come off the throttle, and the thrum of the exhaust beneath the rear seats is a constant nuisance. We’d avoid the 108 ‘ETG’ if at all possible. It’s actually a robotised manual gearbox and like almost all transmissions of that type, it’s slow and clunky. It often gets caught out when pulling away from the lights, or when you require a burst of speed – but it does at least have only a small impact on the official economy figures. It’s hard to relax at a constant motorway cruise, too, because there’s non-stop wind noise around the front windows and road noise inside the cabin. Pull back the large fabric roof on top-line versions and there’s a lot of buffeting and wind noise, and even at moderate speeds we reckon you’ll find yourself shutting the roof again to allow conversation inside the vehicle to continue at a normal level. Having said all this, the 108 is the most refined of the cars with which it shares its engines and chassis with - the Citroën C1 and Toyota Aygo. If you are determined to choose from just these three cars (and you really should be thinking beyond them), you’ll find the Peugeot has the slightly slicker gear change and generates less engine noise and vibration overall.